My quest for finding more ways of Brussels Sprouts continues. It is such a versatile vegetable and somehow it always gets a bad rap. 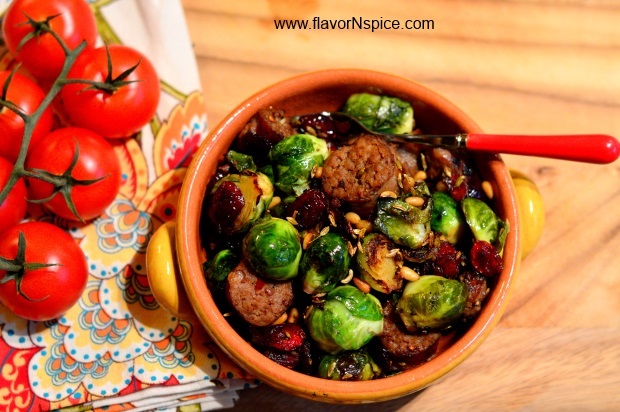 Over the past few weeks, I have seen and research a lot of recipes for Brussels sprouts but every time I mention them on my blog, someone or the other comments that it is one vegetable they detest. I just don’t understand this strong dislike that people have taken to this poor vegetable (and beets!). My only explanation is that people don’t know how to cook Brussels sprouts and because they often overcook this vegetable, they end up having a strong reaction to the strong “cabbagy” smells that emanates out of them and then they conclude that they don’t like the vegetable. I too had the same reaction to them until the waiter at Zaitanya (my all-time favorite Jose Andres restaurant in Washington DC) suggested that we should try their Brusseles Sprouts and when I scrunched up my nose at the idea, he said “if you don’t like it, the dish will be on the house”. So we tried it and I fell in love with it. 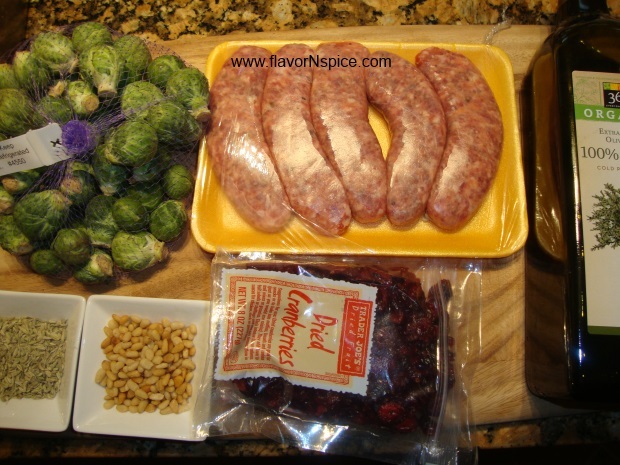 Today I made the Brussels sprouts with Italian sausage and to go with the season, I added some dried cranberries as well. 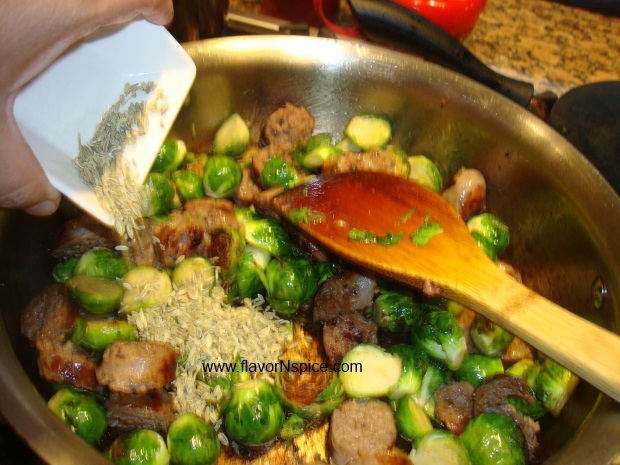 I also added some dry fennel seeds to reinforce the fennel flavor in the sausage. 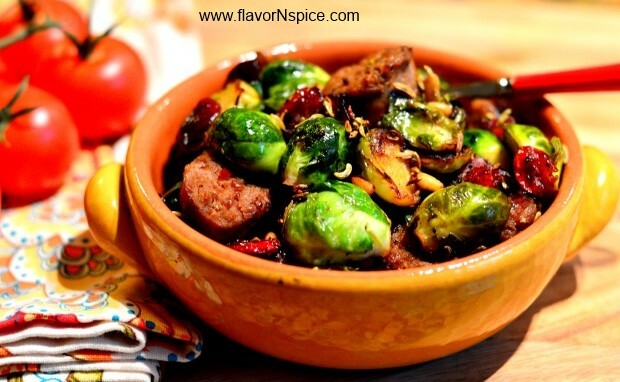 This dish would make a great side-dish or also just a one-bowl-meal since it is a balanced meal in itself. 1. In a heavy bottomed pot, add the olive oil and heat on low heat. 2. 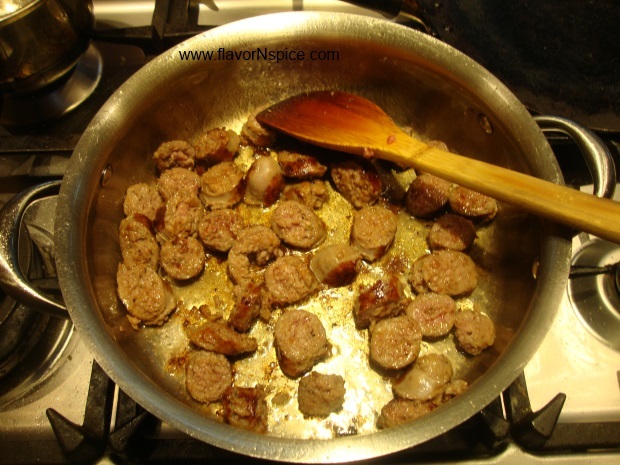 Add the Italian sausage to the pot and cook the sausages on both sides until they are lightly browned. 3. 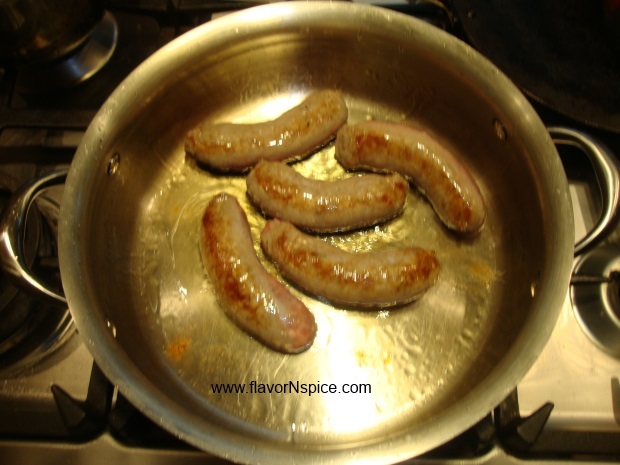 Take the sausages out of the pot and with a sharp knife, cut them into bite sized pieces and continue cooking them in the pot until the meat looks thoroughly cooked (takes 5-6 minutes). 4. 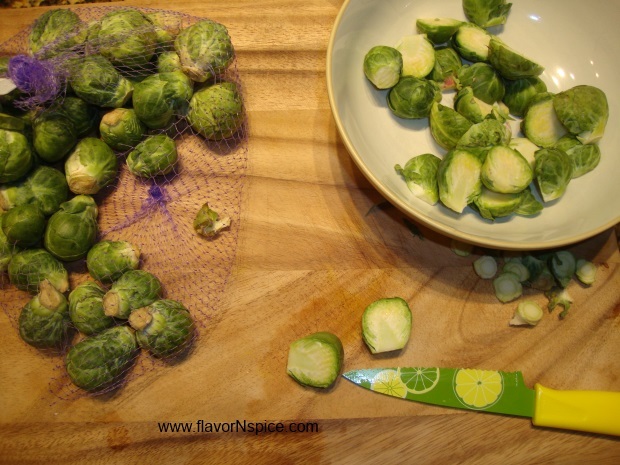 With a sharp knife, cut the ends off the Brussels sprouts and halve the bigger pieces to make even sized pieces of all the sprouts. 5. 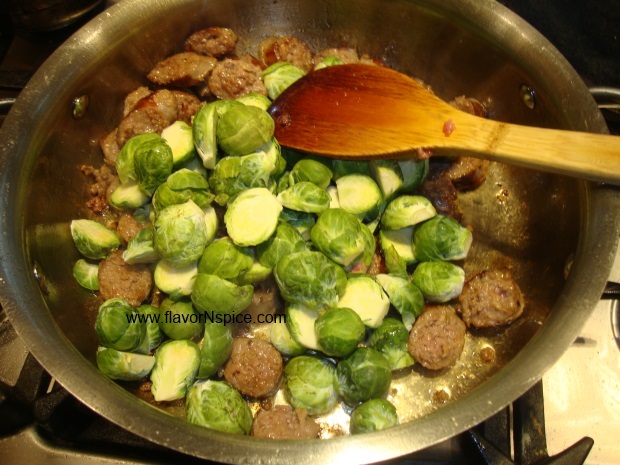 Add the chopped Brussels sprouts to the pot and cook them on medium heat with the sausage. Stir frequently so that the sausage pieces are not burnt. This process with take 4-5 minutes only. 6. 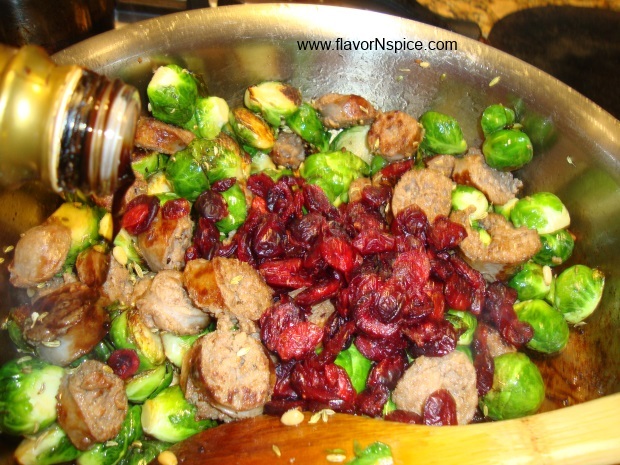 Add salt, pepper, red pepper flakes, fennel seeds, pine nuts and cranberries to the pot and stir. Cook for another 1-2 minutes and continue stirring frequently. 7. Add balsamic vinegar and stir again. Cook for another 1-2 minutes and then turn the heat off. 8. Serve the dish while it is still hot or at room temperature. 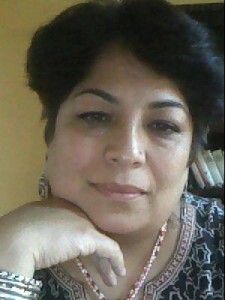 Just discovered your food blog through Jhinuk Basu. I hope you remember us both from IIT Delhi days. Well, I have been here now since 1984 and have never taken cooking on exotic or Indian recipes. I find your blog very easy to follow and the photos look wonderful. Looking forward to trying some of your recipes.